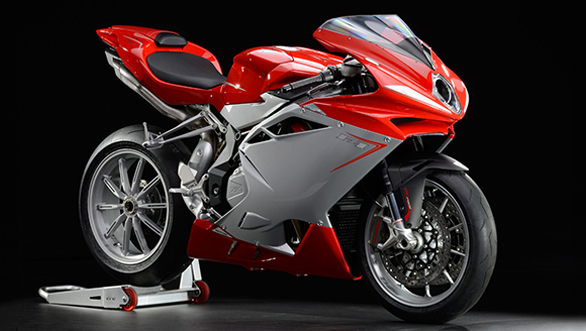 A release from the Kinetic Group confirms that they will be bringing the famed MV Agusta marque to India within this year. Kinetic has signed an agreement with the high end Italian manufacturer and will be bringing a range of their motorcycles to India. Details are not concrete but Kinetic says they will be launching some or all of the MV Agusta range in India within the next two to three years. The first launch is slated for November 2015 and is likely to be one of the lower priced motorcycles, perhaps from the Brutale or F3 range. The current international MV portfolio consists of the Brutale, Rivale, Turismo Veloce, F3 and the top of the range F4 superbike. These motorcycles use inline 3 and inline-4 cylinder engines that produce anything from 110PS to over 200PS depending on the model. 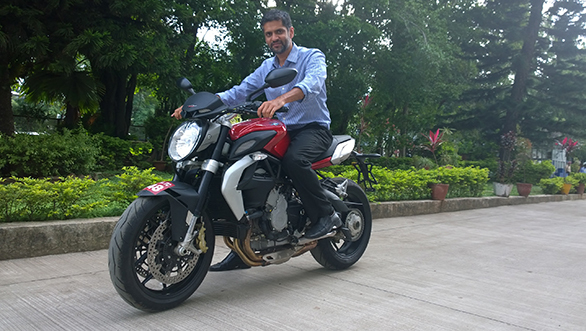 Kinetic already has a team of people working on homologation and other processes to get the bikes ready for sale in India. The company intends to sell these motorcycles through a dealership network that will be set up in the top Indian cities. The bikes will be brought into India via the CBU and SKD route. Prices will range from a tentative Rs 12-33 lakh. We expect individual models to be priced higher than their Ducati and Triumph competition as MV Agusta has traditionally positioned itself as a highly premium brand.